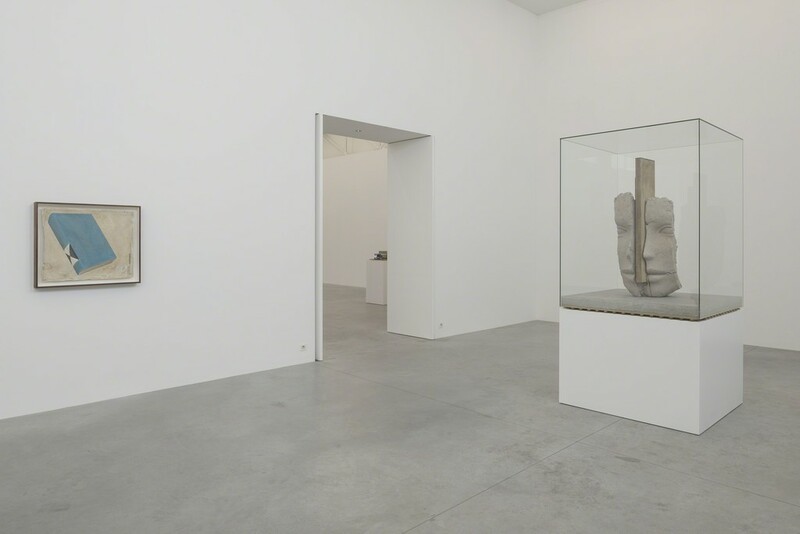 Zeno X Gallery has the pleasure of introducing Mark Manders' new exhibition. 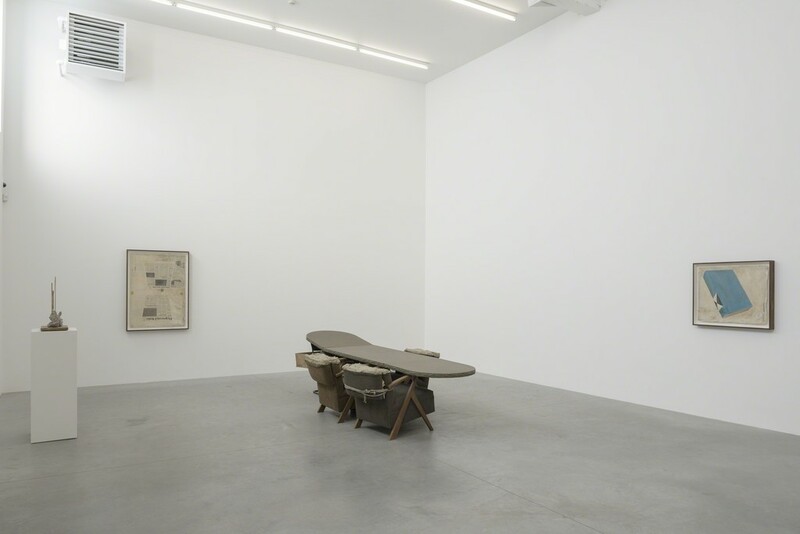 It is his sixth solo exhibition since he joined the gallery in 1994. 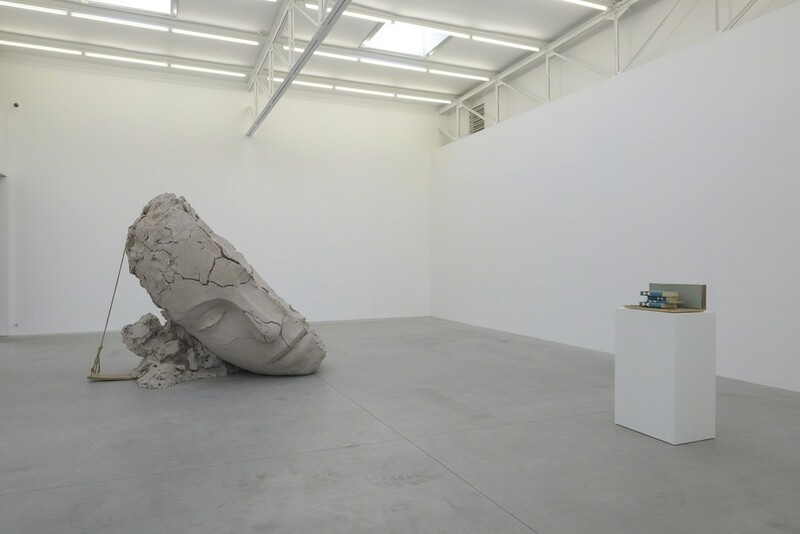 The most prominent work in the exhibition is without doubt Dry Clay Head (2015-2016). 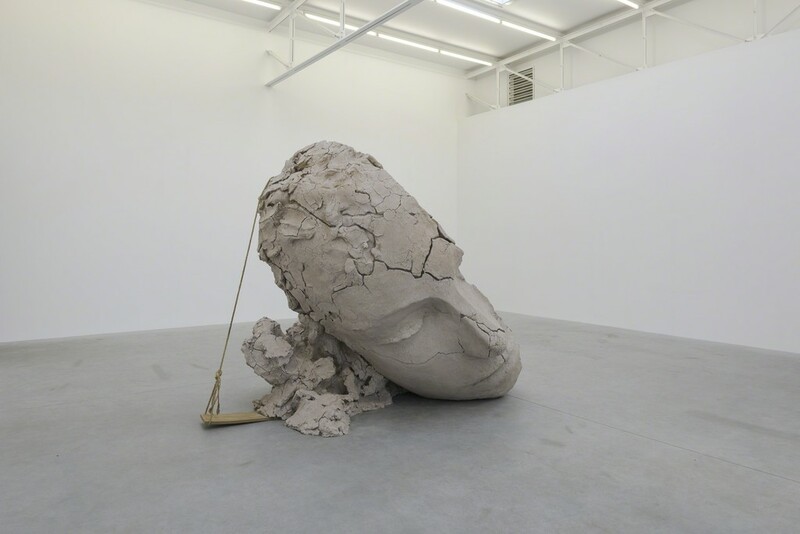 As in the work Dry Clay Head on Concrete Floor (2016), Manders explores working on a larger scale. He was recently invited by the Walker Art Center in Minneapolis to create a sculpture for the new sculpture park. 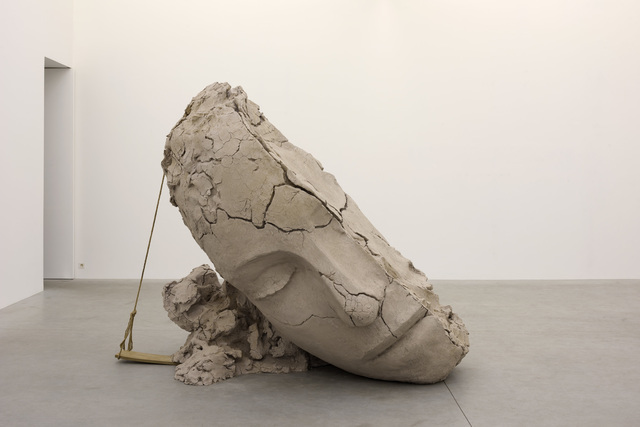 The result is two sculptures, Two Reclining Figures - a smaller version of which is now on view at the Biennale de Rennes, and Composition with Long Verticals, which will be nearly five meters high. The sculpture garden will officially open in June 2017. At the beginning of this year, Manders won the competition for a large outdoor sculpture on the Rokin in the historic center of Amsterdam. This bronze fountain will also be executed on a monumental scale. More recently, Manders was also asked by Public Art Fund to create a large sculpture in 2018 in Central Park in New York. 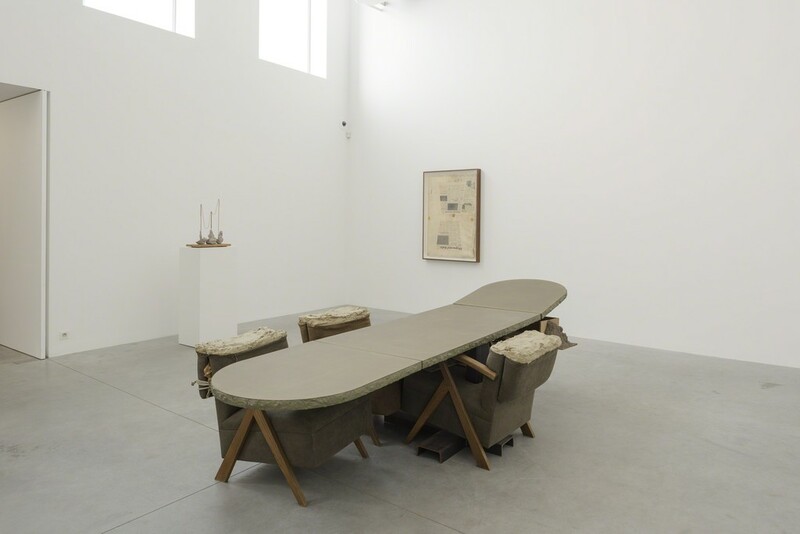 In the late eighties and early nineties, Mark Manders created installations with personal and household objects such as pencils, cups and pieces of twine. The compositions are very fragile and poetic. Later, he began to work regularly with traditional materials such as clay, wood and bronze. The sculptures often seem more fragile than they really are. Whereas previously the works seemed as if the artist had just made them - like wet clay - the works in this exhibition seem already to have been dried out and left behind. Although the works come across as timeless archetypes, there is still one year to which the artist consistently refers - namely, 1986. In that year, the concept of 'Self-portrait as building' came about, which functions as a metaphor for his oeuvre: a fictitious building, divided into separate rooms of which the exact shape and extent cannot be defined. 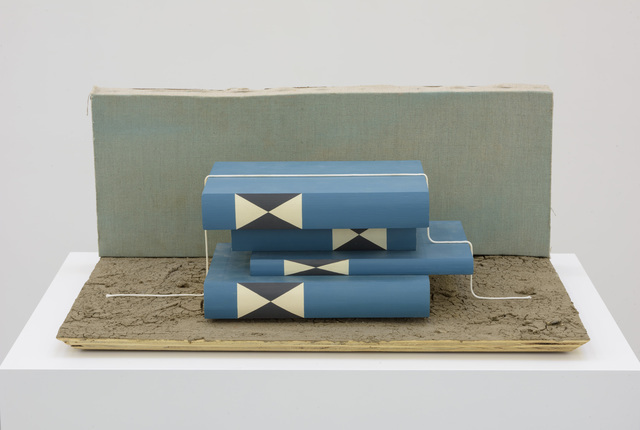 Manders constantly strives for the specific yet unattainable moment in which all works will be connected with one another and enter into dialogue. 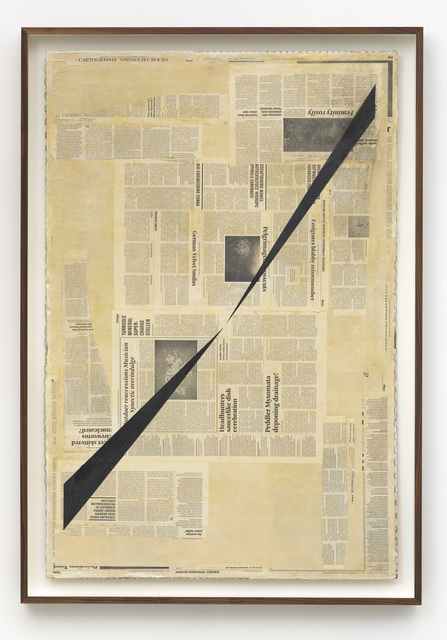 The Perspective Studies are a recurring motif in his oeuvre and are built up of self-made newspaper; Manders takes words from an English dictionary and places them in a random order. Each word is used only once. He also takes close-up photos of elements in his studio that he subsequently positions next to the text. The photos scrupulously avoid referring to anything concrete, but function unavoidably as apparent illustrations of the words. Falling Dictionary (2016) is made of these newspapers but shows - as the title suggests - a falling lexicon. The dictionary often appears throughout his oeuvre and demonstrates his strong fascination for language. Usually the colours correspond with the materials, whilst the dictionary gives Manders a unique opportunity to add some 'colour'. 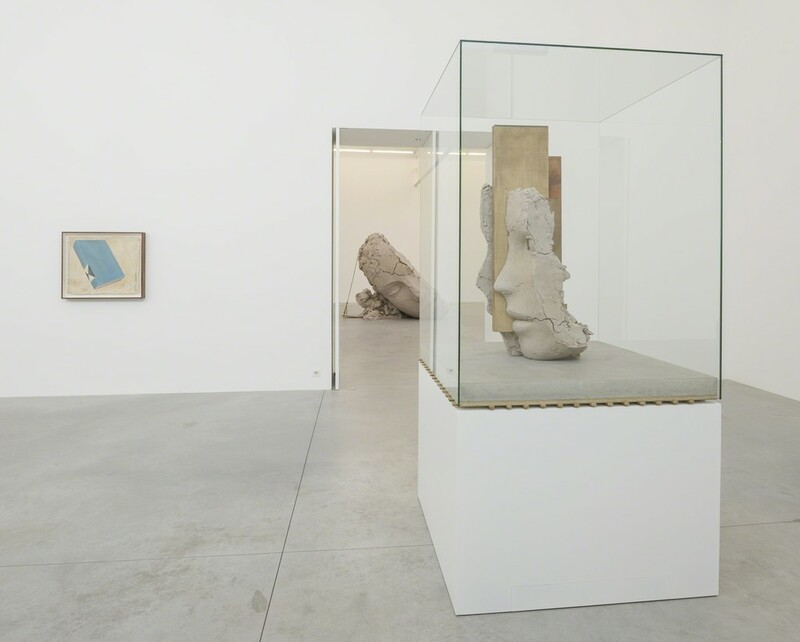 In the past Manders had solo exhibitions at Centro de Galego de Arte Contemporanea in Santiago de Compostela (2014), Collezione Maramotti in Reggio Emillia (2014), De Vleeshal in Middelburg (2014), Carré d'art - Musée d'art contemporain in Nîmes (2012), Dallas Museum of Art (2012), Walker Art Center in Minneapolis (2011), Aspen Art Museum (2011), Casa Luis Barragan in Mexico City (2011), Hammer Museum in Los Angeles (2010), Kunsthaus Zurich (2009), S.M.A.K. 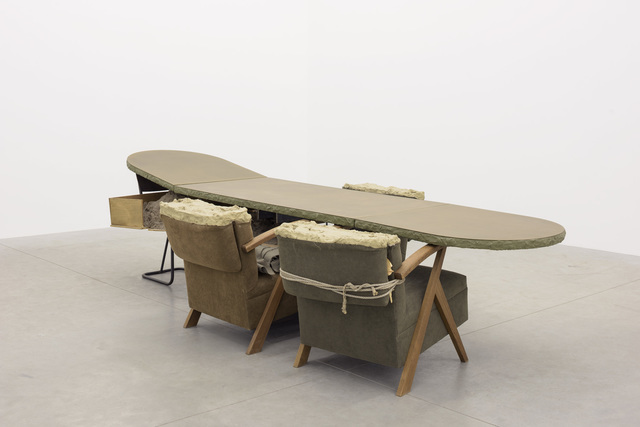 in Ghent (2008), Kunsthall Bergen (2008), Kunstverein Hannover (2007), IMMA in Dublin (2005), Berkeley Art Museum (2005), The Art Institute in Chicago (2003), The Renaissance Society in Chicago (2003), Pinakothek der Moderne in Munich (2003), Kröller-Müller Museum in Otterlo (2002), The Drawing Center in New York (2000), De Appel in Amsterdam (1997), amongst many others. 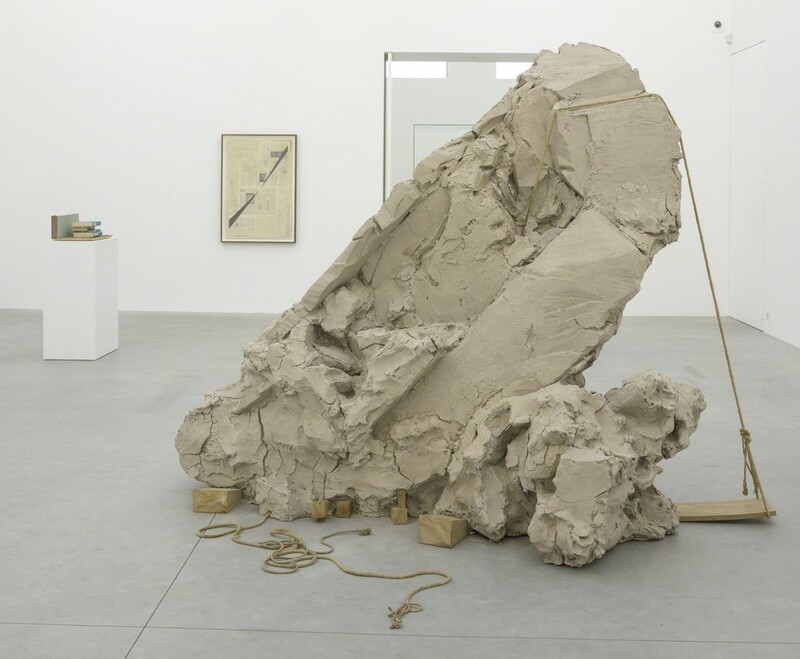 In 2013 Mark Manders represented the Netherlands at the Venice Biennial with his presentation 'Room with broken sentence'. 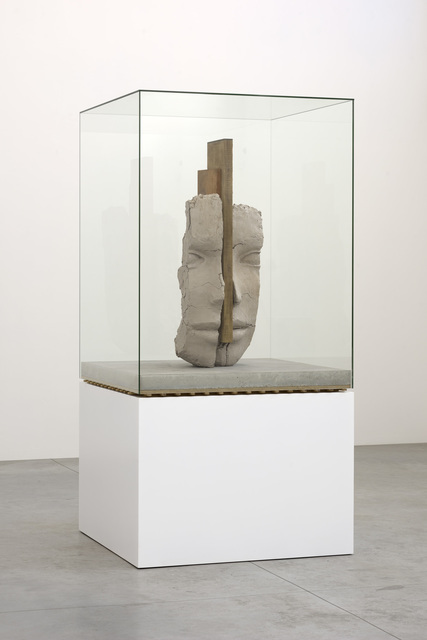 Work by Mark Manders is included in the permanent collections of MoMA in New York, Solomon R. Guggenheim Museum in New York, Museum Voorlinden in Wassenaar, Bonnefantenmuseum in Maastricht, Walker Art Center in Minneapolis, Art Gallery of Ontario in Toronto, the Art Institute in Chicago, Carnegie Museum of Art in Pittsburgh, Centraal Museum in Utrecht, Centro Galego de Arte Contemporanea in Santiago de Compostela, Dallas Museum of Art, Fondazione Sandretto Re Rebaudengo in Turin, Irish Museum of Modern Art in Dublin, MCA Chicago, Kunstmuseum Bonn, LA MOCA in Los Angeles, Moderna Museet in Stockholm, M HKA in Antwerp, MMK Arnhem, Noordbrabants Museum 's Hertogenbosch, Philadelphia Museum of Art, Pinakothek der Moderne in Munich, Mu.Zee in Ostend, S.M.A.K. in Ghent, San Francisco Museum of Modern Art, Stedelijk Museum in Amsterdam, Van Abbemuseum in Eindhoven, The Menil Collection in Houston, Hammer Museum in Los Angeles, Wadsworth Atheneum in Hartford, etc.